At the tables in the sunny squares of Larissa, you will enjoy some of the best specialty coffee you've ever had. Coffee in the morning, and all through the day. Have it in Tachydromeon Square, at the ancient theatre, and on Papakyriazi Street. 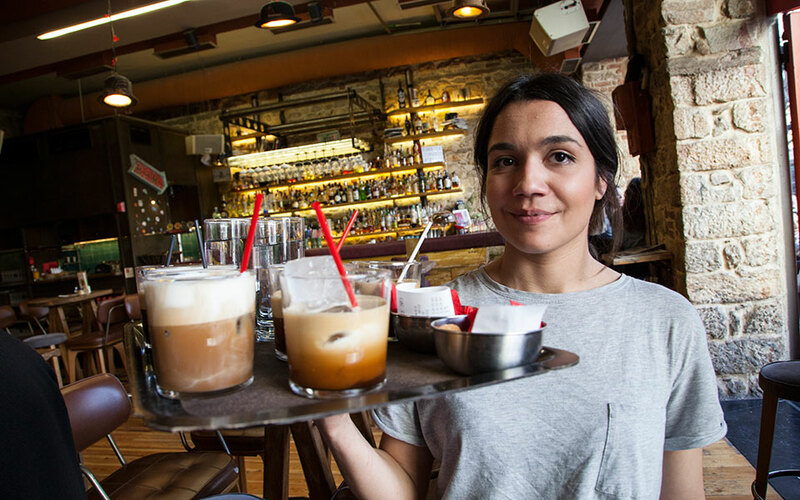 Choose single-origin espresso, coffee brewed in V60 or Chemex coffeemakers, or maybe a Greek coffee, but just don’t ask for a frappe – the iced instant coffee that you might have come to associate with Greek cafes. Larissa is located 355 km north of Athens, about a 3.5-4 hour drive. 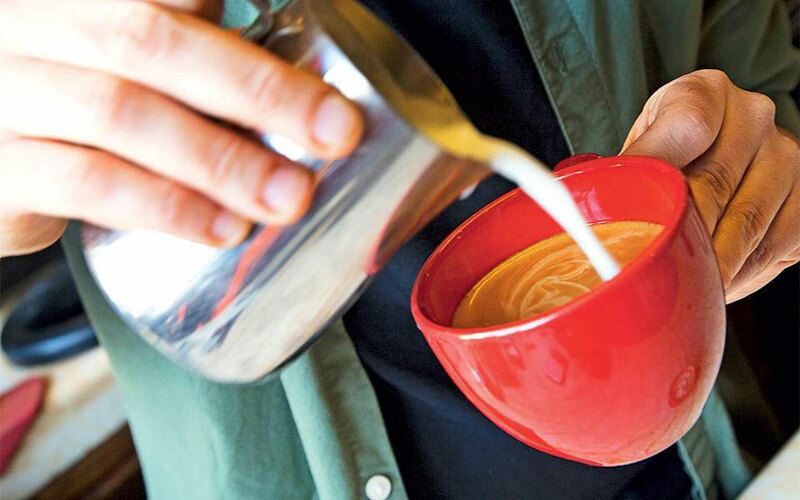 Many of the new cafes have embraced the art of good coffee, and locals appreciate quality. 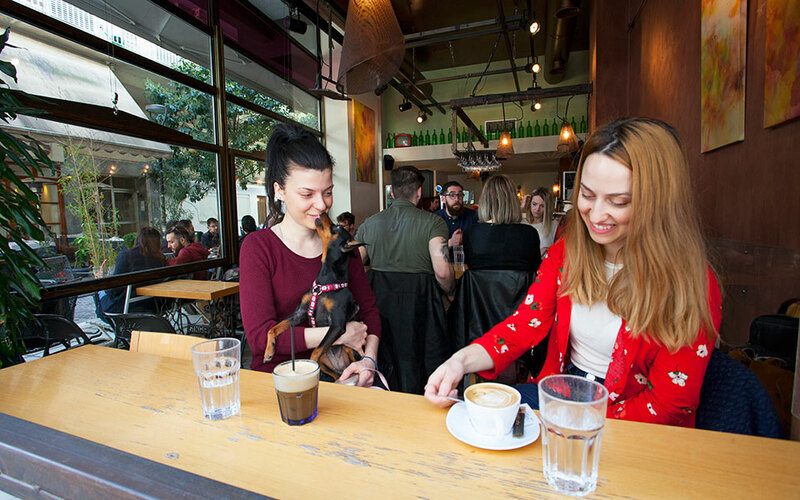 Specialty coffees (single-origin and with specific harvesting and roasting methods) generally make up 5-10% of all the coffee consumed worldwide, but in Larissa the cafes offering such products are rapidly on the rise. Yiannis Nikolaou, who organizes seminars at the new Larissa School of Coffee, agrees about the need for technical skills: “We host these seminars in order to educate the employees at our own cafe Kaveh Kanes, and many others join as well, as they are open to the public”. 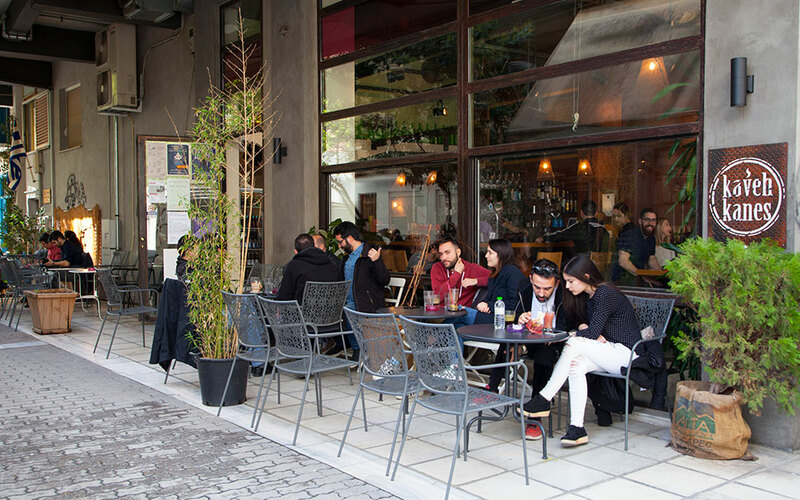 Three coffee shop chains born in Larissa have managed to spread out of the city. The shining star of the three, Mikel, has outlets all over Greece, as well as in London and Dubai. 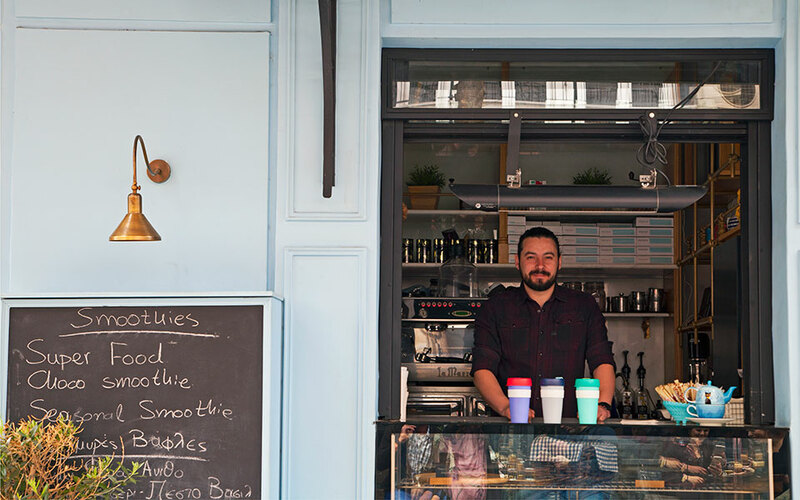 The other two, Bruno and De-Tox, recently opened branches in Athens. The possibility of a coffee festival being hosted in Larissa is being discussed. We went to Larissa for coffee and found five cafes that are totally worth the drive. Using select beans from small farms, at Kubrick it’s all about the quality of the coffee and the techniques used to make it. There is no frappe on their menu. Head barista Fotini Vouga says: “The Larissa locals are learning. They’re starting to appreciate our suggestions for various specialty coffees”. The stylish, cozy indoor space with wooden floors and stone walls, the tables in the square and the focus on specialty coffee and quality drinks has made this place one of the most popular meeting points in the city. Aside from a cafe, Kubrick is also Larissa’s first dedicated cocktail bar, with hospitable bartenders, and is home to the annual “Bar Engage” event (7-13 May), which draws bartenders from some of the best bars in Europe. So, as you can imagine, it’s worth staying until the evening. Pancakes, scrambled eggs with salmon or prosciutto, eggs Benedict, sandwiches made with quality products, and scrumptious desserts. This is the place for brunch. 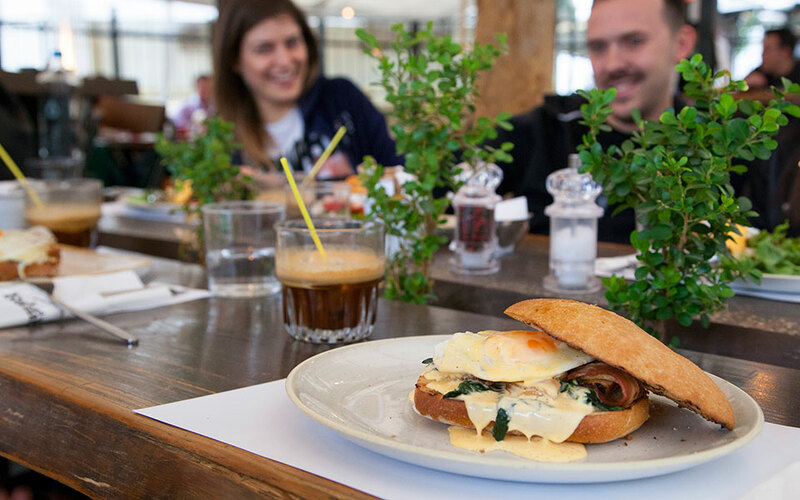 Owners Thanos Kobogiannopoulos, Kostas Letsios and Achilleas Papahatzis were the first people in town to focus on breakfast and brunch – a result of their own love for the meal, and Las Ramblas has become a hit. Today, they serve around 500 breakfasts a day – and most of those orders end up being featured on social media. On Sundays, aside from the à la carte dishes, you can also enjoy the Sunday buffet featuring six savory and three sweet dishes, set up in the nice industrial space with its low bar (as typically preferred by barristi). There are also tables outside. Enjoy a rare select single-origin espresso which has been roasted right onsite, along with some pancakes with chocolate. Not famous specifically for its coffee, but one of the most popular spaces in town for many reasons. First of all it enjoys an ideal location, on pedestrianized Venizelou Street, across from the ancient theatre. The building, previously housed the hotel Linto for many years (an establishment of questionable repute). Today it is a multi-space for relaxing, working, and cultural events, run by the Linto Organization. Two floors serve as reading rooms and a space to work, but also host concerts and other events in the evenings, as do the garden and roof terrace. On the ground floor, you’ll find the café-wine bar. 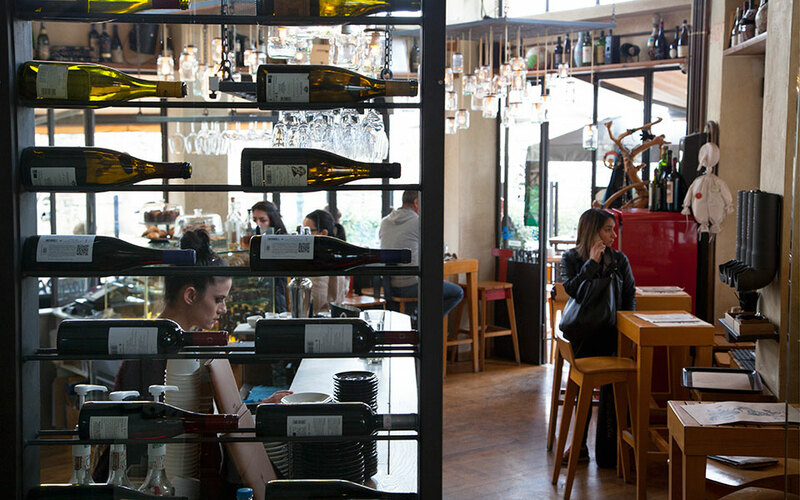 Try the homemade sweets or choose a bottle from the list of 550 wines, and pair it with some light food. Owners Giannis Petrou and Artemis Ganas love wine, jazz, and people working together – in other words, all things Klimax. Every month, a different single origin specialty coffee arrives at Kaveh Kane. The relatively small batch of coffee beans is roasted onsite and served exclusively at their two locations (the cafe on Asklipiou street, and the takeout coffee shop on M. Alexandrou Street). You can get your coffee prepared, or buy beans to take home. Named after the world’s first cafes in 11th century Mecca, Kaveh Kane is self-service, and in its basement stages exhibitions, plays, and other events. The owner, Giannis Nikolaou, is one of the organizers of the seminars at Larissa School of Coffee. Try coffee brewed with various techniques, and other drinks made with herbs and dried fruit from Pilio. Environmentally-minded, this cafe recommends customers bring their own cups or thermoses, to be filled at Portegaki – as it is known by the locals. The aim is to minimize the use of paper and plastic cups usually used for takeout coffee. “You bring your own cup, or get one from us. In return, you get your coffee for 20 cents less, but that’s just the reward. 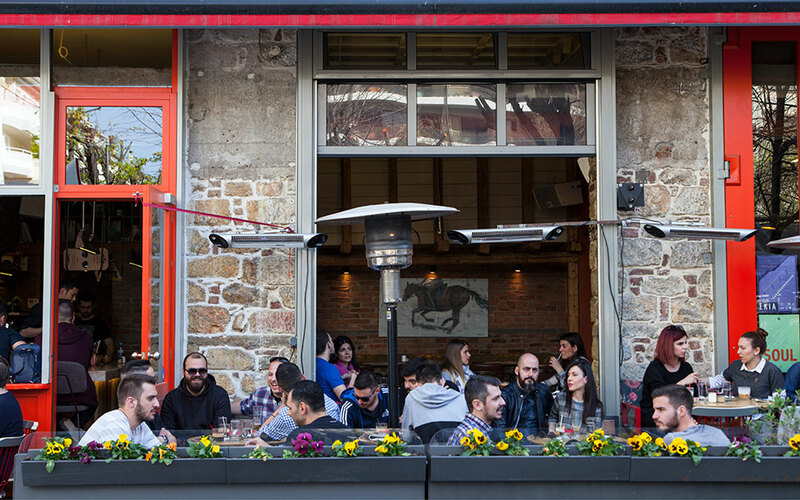 The important thing is to change our bad habits,” says one of the owners, Lefteris Samaras. Soon, they will also provide straws made from bamboo instead of plastic. This cozy takeout coffee place is easy to spot as you pass it on Papakyriazi Street, and aside from coffee, they also make fresh juices and fruit salads, waffles, sandwiches, breakfast bars, and more.